Shmee Tries To Walk Hard! 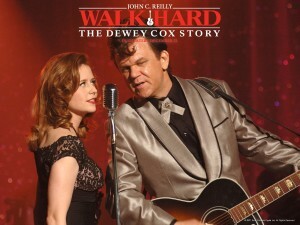 Walk Hard: The Dewey Cox Story is a spoof on the biopic genre, but mostly the film Walk The Line the Johnny Cash biopic. Since all biographical movies follow the same basic flow it is an easy genre to make fun of, and for the most part the Judd Apatow written and Jake Kasdan directed film lands it jokes, but the film can be slow at times. The story follows the titular Dewey Cox (John C. Reilly) from his troubled childhood through his hard living but successful career. Along the way he is always trying to write his masterpiece. This movie mostly makes fun of the Johnny Cash film, but the movie also makes fun of all sorts of rock legends including Ray Charles, Bob Dylan, Elvis, and The Beatles to name a few. While the movie copies and lampoons the basic biopic style, the real stars of this movie are all the great songs they wrote. My favorite is a Bob Dylan style song about dwarf solidarity. It is perfectly cringe worthy. However when they are not singing the movie can slow down, since not all of the standard spoken jokes and site gags land as well as the musical ones. John C. Reilly really throws himself in to this role, playing a believable over the top musician. Since there have been so many of these musical biographies made he must of had a lot of material to use to get ready for this film. Cox’s two wives played by Kristen Wiig and Jenna Fischer are both very funny, and this movie manages to cram just about every notable comedian in to this film plus few real rock stars. It is a shame this movie didn’t tighten up the script a bit because with its level of talent and the great songs they wrote this movie could have been a classic, but instead it is just a funny if uneven film. 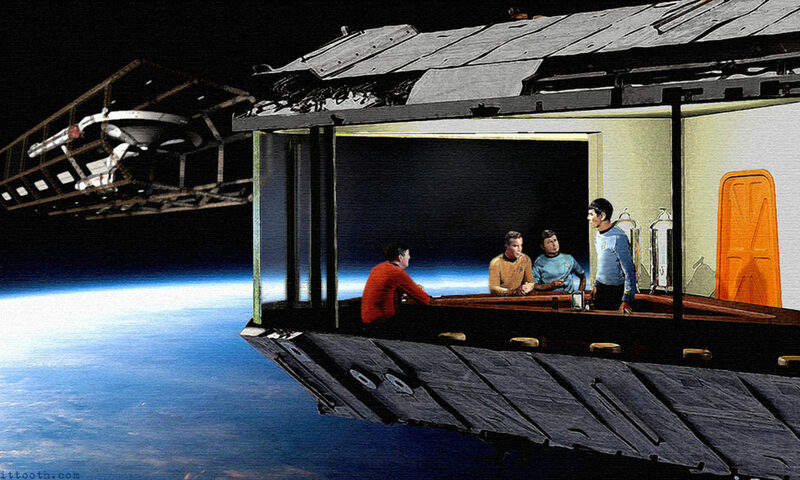 To be sure their are much worse spoof movies out there (all the Scary Movies), but it is no Spaceballs that is for sure. Previous PostPrevious Starting Arrow Season 2! Next PostNext Shmee Watched Fast & Furious 6!